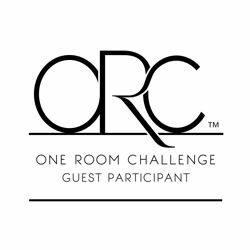 Hey guys, it’s time for another update on my guest participation in the One Room Challenge hosted by Linda at Calling It Home. You can catch up to week one’s post here and week two’s post here. Before I get into the progress I made on this 3rd week, I thought I’d again post the 3 inspiration rooms for my daughters’ “Modern Girl Chic” room re-do. My 7 and 5 year olds share a bedroom together. 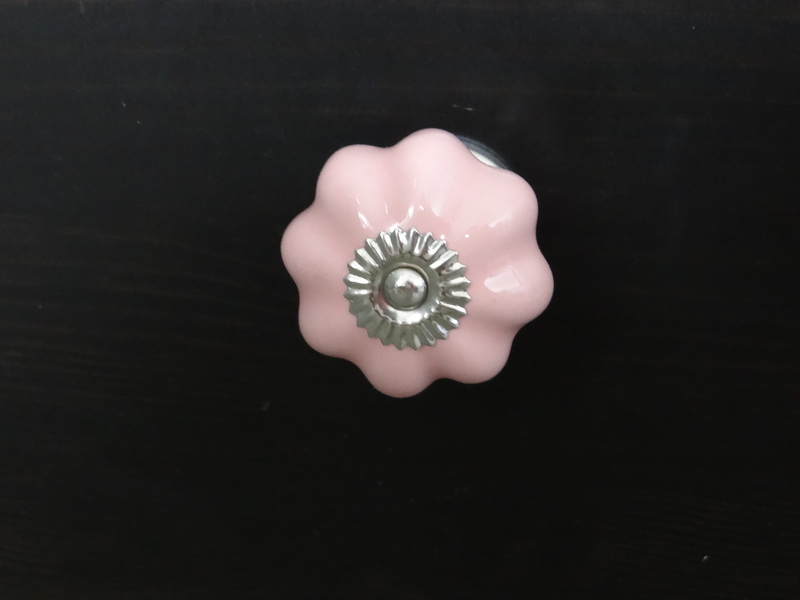 In last week’s post, I mentioned about purchasing some new drawer pulls for an Ikea dresser I bought a few years back. Here’s how the dresser looks with those new pink pulls. 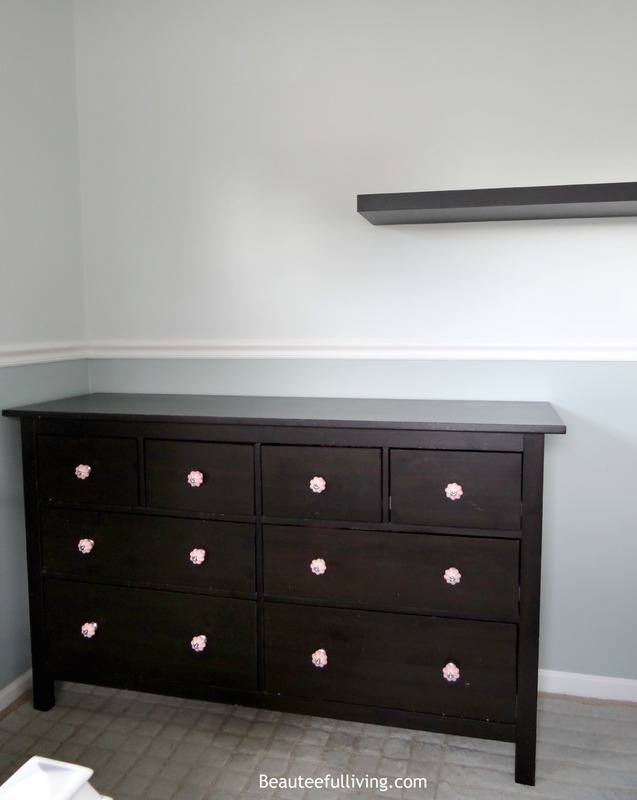 It’s certainly an improvement from the plain ones that came along with the dresser. By the way, the floating shelf on the right will be re-positioned somewhere else. A close up of the vintage-looking drawer pulls. Aren’t they pretty? I purchased them from HomeGoods. Another wall I’d like to show you this week is the wall closest to the doorway. I have the girls’ loveseat positioned in the center of that wall. The loveseat definitely needs a pillow or two. 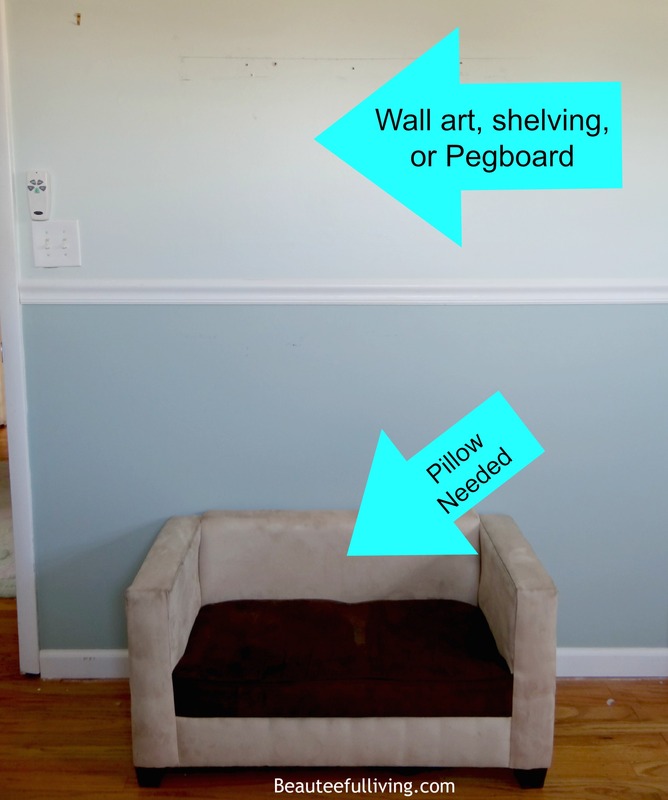 Above the loveseat, I think some sort of wall art, shelving, or possibly a pegboard would work well. Whatever I decide, it definitely needs to cover those nail holes from the floating wall shelf I just removed! Now, let’s get to the FUN STUFF! I did a little shopping for some decorative elements in the girls’ room. 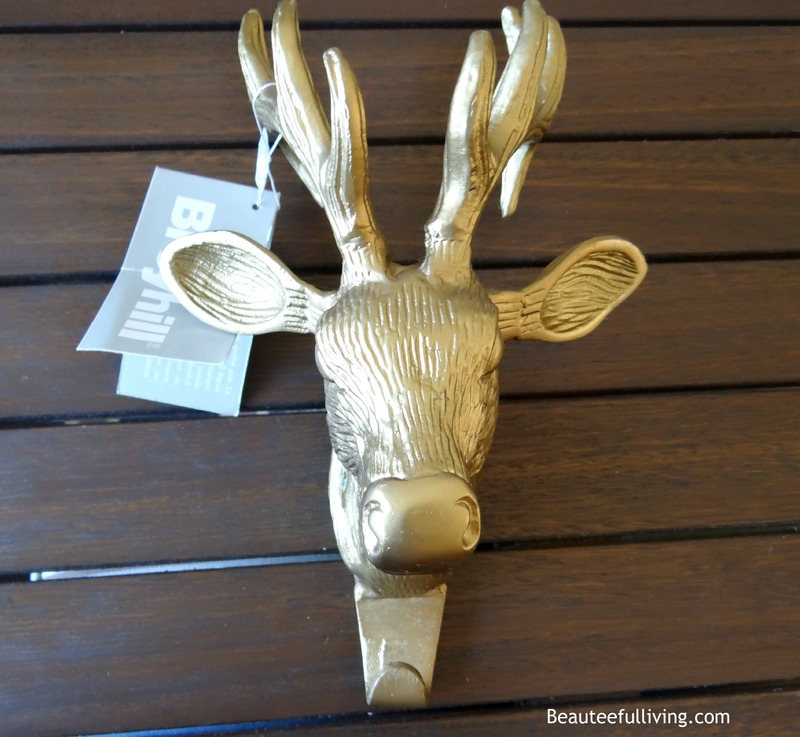 This gold deer head wall mount from Broyhill would look great on an accent wall. 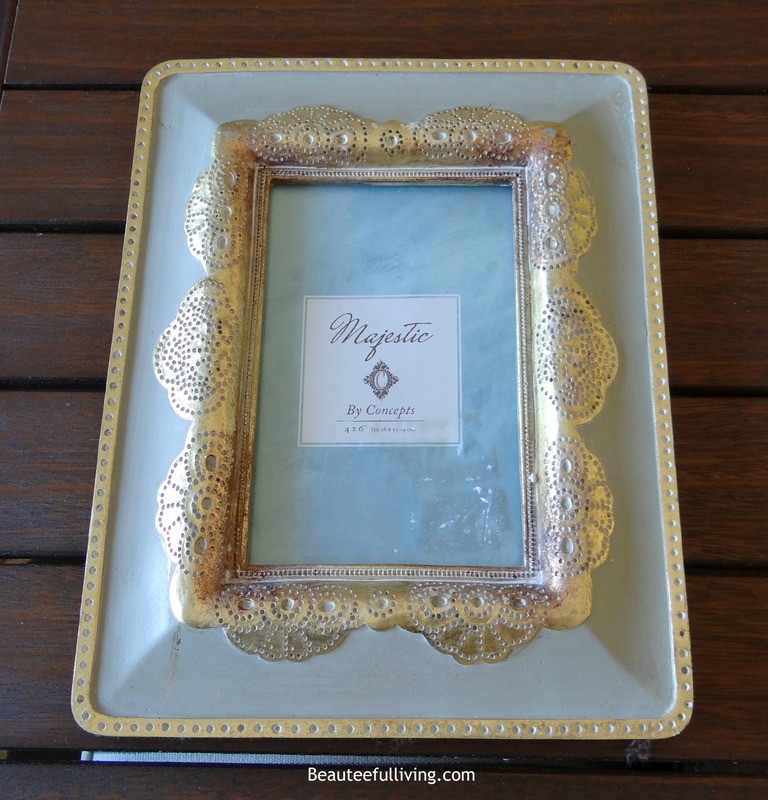 When I saw this picture frame, I knew I had to purchase it for this room re-do. I love the girly and elegant detailing around the frame. 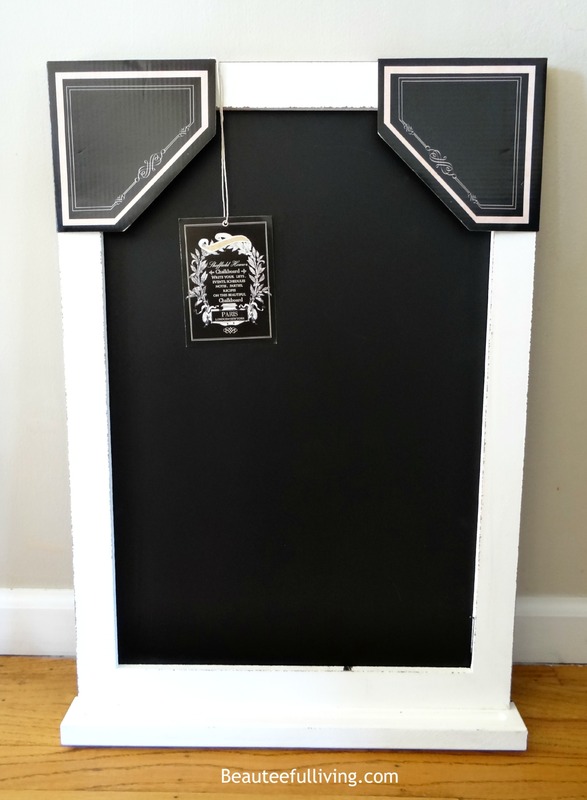 I love chalkboards but I’ve always steered clear of them in bedrooms due to the dust factor. So, why am I adding this to the girls’ bedroom? This is not going to be used for play. I plan on writing sweet messages or inspirational quotes on this board on a monthly basis! 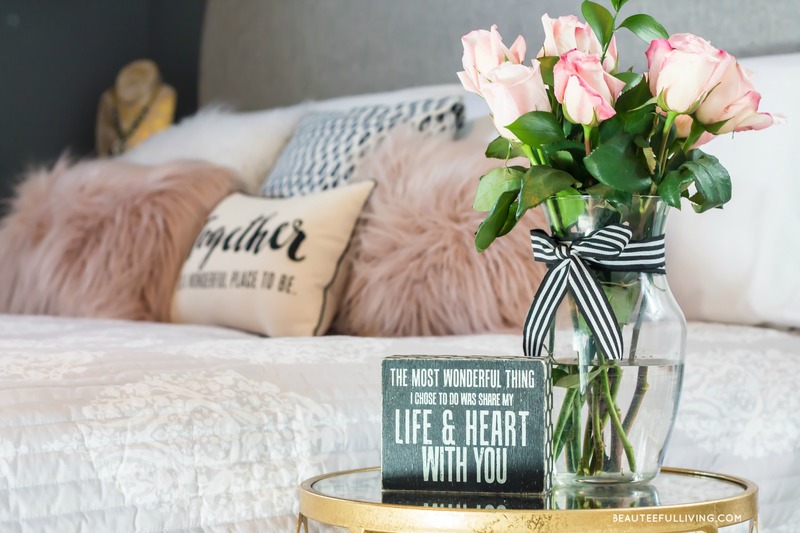 I hope you’ve enjoyed seeing some of the new things I purchased for this One Room Challenge! If you’ve enjoyed this post, please like, share, or PIN this post. Thanks! Thanks for reading and can’t wait to share more next week! Wish me luck on getting something on the walls! Xo, Tee. Cute accessories! Love them all! Looks like you’re making lots of progress, Tee! Your chalkboard messages are so sweet. Looking forward to seeing the end result! Pretty! 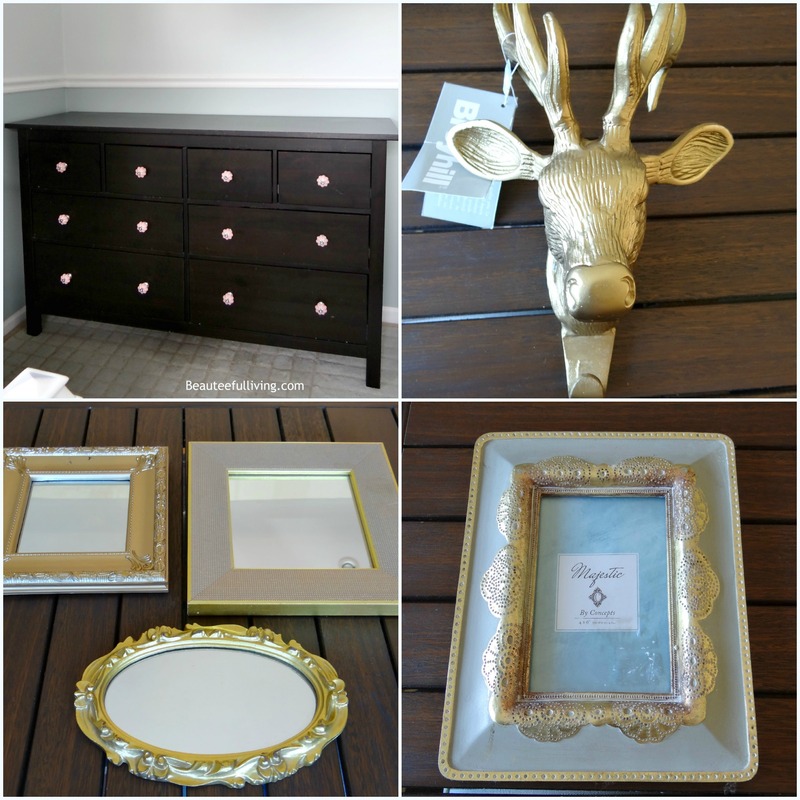 Love those gold picture frames and that deer head. Looking forward to seeing the room all together! I love the idea of putting inspirations on the chalkboard each month! Looks like you’re doing some good stuff! Love the gold accents. Can’t wait to see how it turns out! 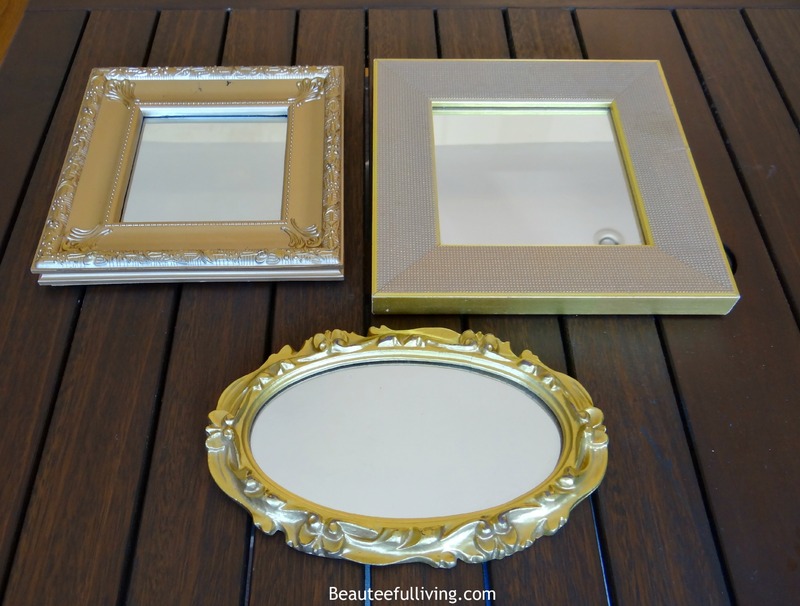 I am loving all of the gold accent pieces! nice Tee! This is turning out so pretty! I love the colors you are choosing. I am excited to see this all come together! Thanks, Emily! Can’t wait to start hanging stuff on walls. Love the gold accents. It looks like it is coming together! Looks great! I’m having fun watching your progress!